Do you experience energy spikes and slumps throughout the day? Do you need a sugar kick to get you through the afternoon? Are you often tired, lethargic, or experience brain fog, cloudy thinking or trouble sleeping? Maybe you’ve tried a nutrition challenge and find yourself slipping back into old habits and just can’t seem to get yourself back on track? Are you ready to find food freedom? 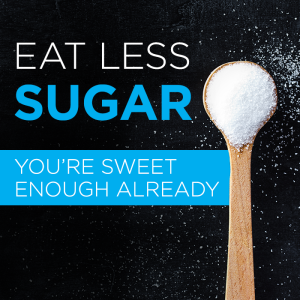 The 21-Day Sugar Detox (21DSD) can help. Let me show you how! 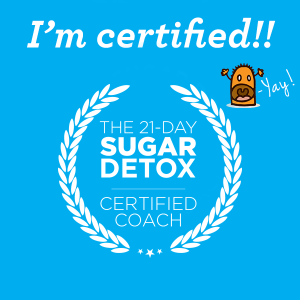 I am a Certified Nutritional Practitioner and a 21-Day Sugar Detox Certified Coach. I’ll walk you through the program from preparation, the 21 day program and post-detox. This isn’t a fad diet and you won’t be starving yourself. If you are hungry, you can eat…just eat the right foods. What are the right foods? Don’t worry, you’ll be provided with food lists and recipes to get you through the 21 days and beyond. The program has three different levels so you can start at a pace that is comfortable for you. It also includes modifications for athletes, pregnant or breastfeeding moms, and those with autoimmune conditions. There’s even a section for kids & family so everyone can get involved and reap the benefits! Are you ready to get started? Contact me to find out when the next program starts.